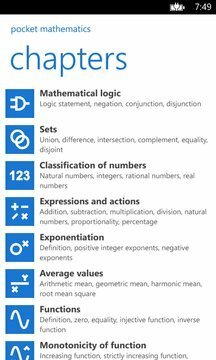 Pocket Mathematics is an easy-to-use, free, education app that covers most of mathematical formulas with descriptions and images. It is perfect for students to do mathematics homework quickly and accurately. - Perfect for students to do mathematics homework quickly and accurately. 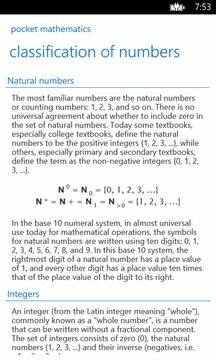 - It is suitable for all levels of mathematics from primary school to university.